🌏 Wire money to 34 countries in 14 currencies! Today we're making it simpler and cheaper for you to pay your international suppliers by introducing non-Euro wire transfers! You can now initiate transfers in 14 currencies to 34 countries, straight from Qonto! (And of course, more currencies will be supported over time). What are the supported countries and currencies? You can wire money in 14 supported currencies (view the full list), including US Dollar (USD), British Pound Sterling (GBP), Japanese Yen (JPY) or Swiss Franc (CHF) with many more currencies coming soon! 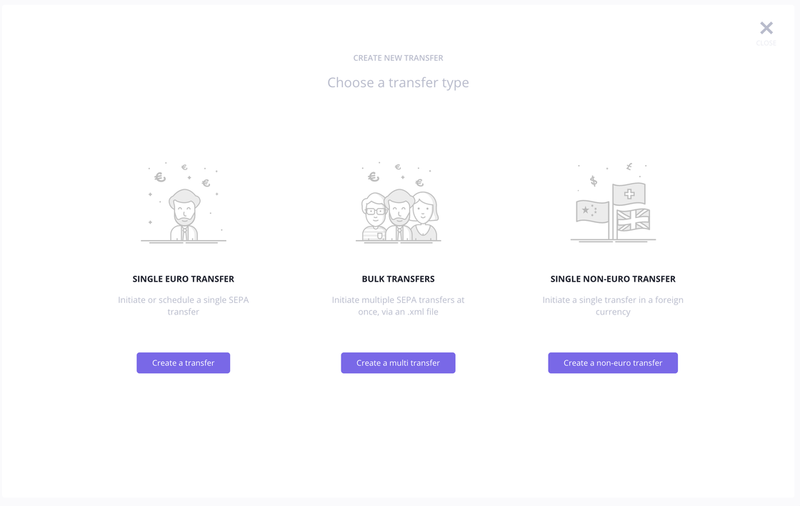 As far as countries go, you'll be able to transfer to banks located in 34 countries (view the full list), including all 🇪🇺 European Union members, the 🇺🇸 United States, 🇨🇭 Switzerland, 🇯🇵 Japan, or 🇨🇳 China. How much does a non-euro transfer cost? Non-Euro transfers at traditional banks cost about 3% of the amount transferred. Even popular neobanks are hiding the same 3% in the rate they show you! At Qonto, we've partnered with foreign currency exchange FinTech Kantox to bring the fee down to just 1%. You will also benefit from the lowest, real-time exchange rates. 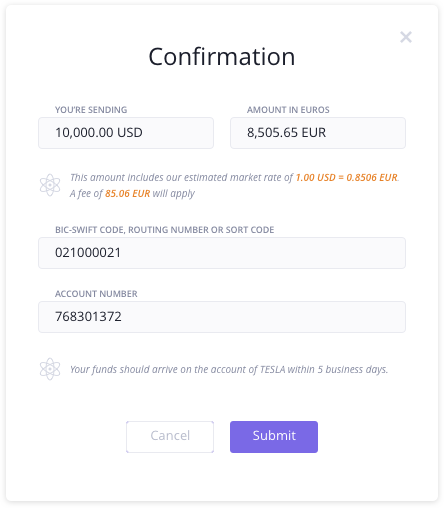 (I) When you submit a transfer while the markets are open (Monday through Friday) you will get to see the estimated cost of your transfer in euros, at the currently available exchange rate. (II) Then, once you confirm the submission, and the transfer has gone through (usually within a few minutes), the current exchange rate will apply. This rate may slightly differ from the one prompted at step 1. How long does a non-euro transfer take? Depending on the currency you're transferring in, non-euro transfers can take from 3, and up to 5 business days to reach your beneficiary's account (depending on the beneficiary's bank policy). Simply head to your "payments" tab in the webapp, and click the purple button to initiate a new transfer. Then, click "Create a non-euro transfer". We would like to thank the companies who participated in the beta phases of this long-awaited release 🤘. We're pumped to have made it simpler for you to pay internationally. Some more currencies and countries are coming very soon. As usual, if you have any feedback (or a currency/country you'd like to see added in our next release), reach out to us at support@qonto.eu for feedback.